Welcome to 2020 Vision, the new Yahoo News column covering the presidential race. Reminder: There are 318 days until the Iowa caucuses, and 592 days until the 2020 presidential election. What is Joe Biden doing? 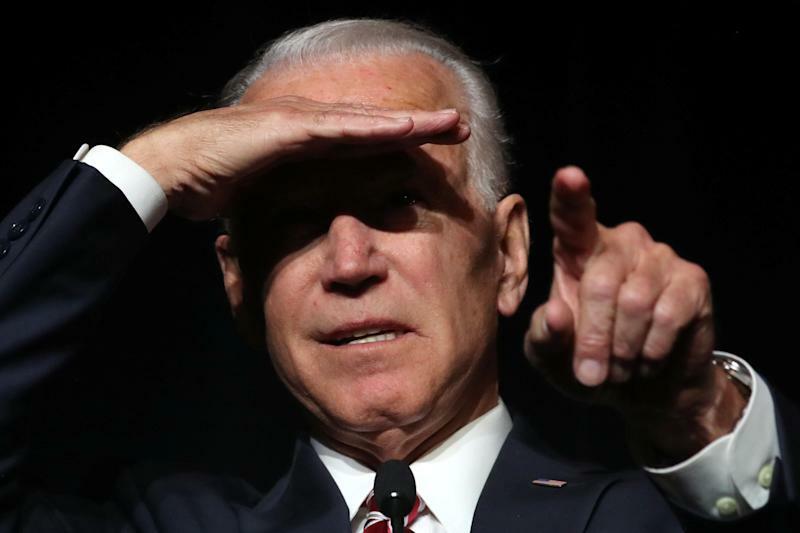 As the former vice president continues to drop hints that he is about to formally launch his bid for president, reports this week suggest it will be an unusual rollout. Biden and Abrams met for lunch last week to discuss her next political steps at the request of the former VP. Both moves are fraught with political danger. Admitting he is only interested in serving one term would make Biden a lame duck before he even takes the oath of office. 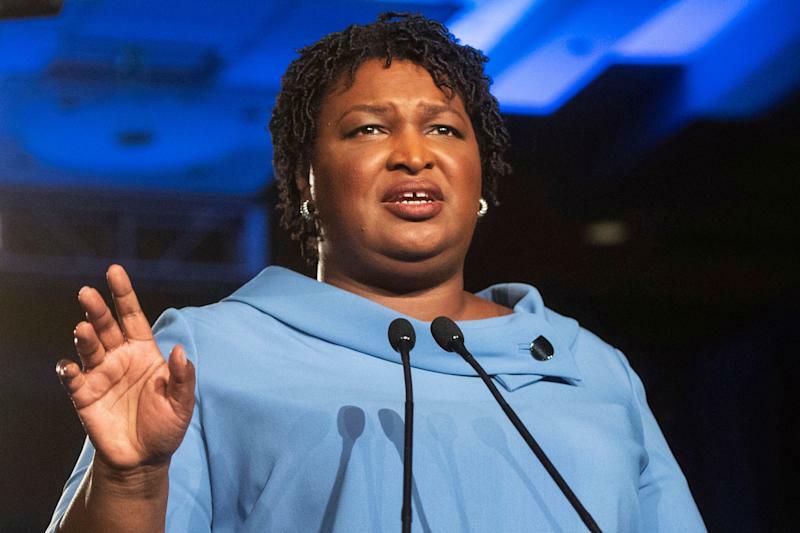 And the instant anointment of Abrams as a running mate would be seen by some as gimmicky and smacking of desperation. 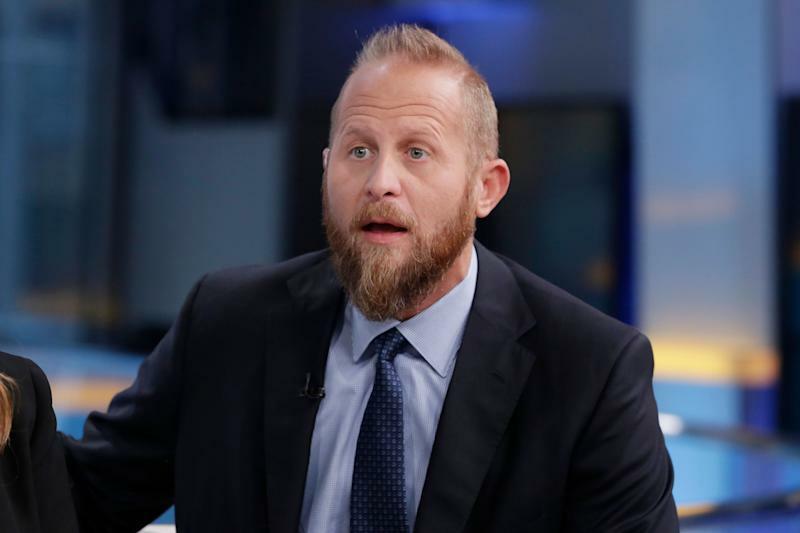 Timing: According to a top-level Democrat, a Biden announcement is expected in April, after the deadline for candidates to report their first quarter fundraising has passed. Unlike Bernie Sanders or Beto O’Rourke, who have raised millions from individual small donors, Biden will likely have to rely on larger contributions, something he might not want to call attention to. "I'd love to have Biden. I'd love to have Bernie. I'd love to have Beto. I mean Beto seems to be the one the press has chosen. 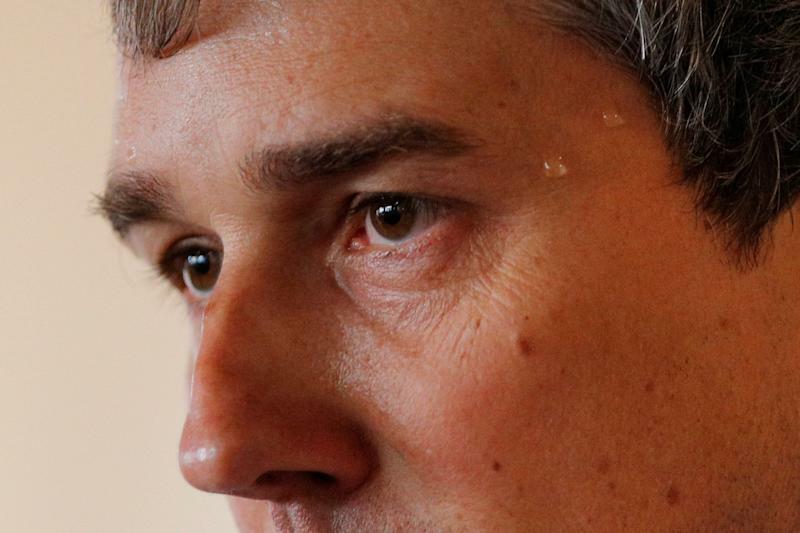 The press seems to have chosen Beto. And when I watch Beto, I say, 'We could dream about that.'" Shocker: The Democratic Socialists of America announced Friday that its organization has voted to formally endorse self-described Democratic socialist Bernie Sanders for president. Mock them if you will, but CNN’s town halls with presidential candidates have produced more actual policy declarations and sharp exchanges than your average campaign event this early in the cycle. During her CNN town hall in January, Sen. Kamala Harris, D-Calif., said she fully supports the “Medicare for all” single-payer health insurance plan. At her CNN town hall in Jackson, Miss., on Monday, Sen. Elizabeth Warren, D-Mass., proposed getting rid of the Electoral College system. And in Austin, Texas, earlier this month, Pete Buttigieg, former South Bend, Ind., mayor, raised his national profile during his hour on CNN while attacking Vice President Mike Pence, the former Indiana governor and religious conservative. Of course, when it comes to substance, they all can’t be winners. 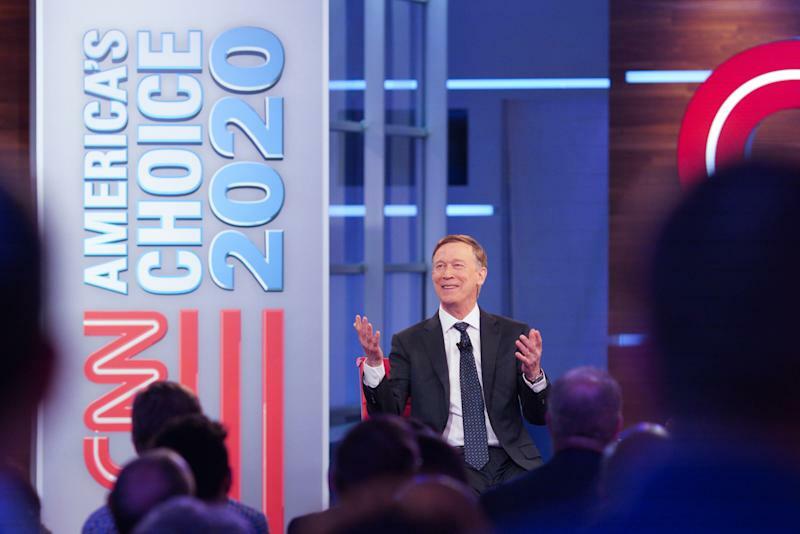 At his CNN town hall in Atlanta, John Hickenlooper was asked whether he would pledge to choose a woman as his running mate. And the former Colorado governor offered a curious response. “How come we’re not asking more often the women, would you be willing to put a man on the ticket?” Hickenlooper said. Checking in on a GOP primary challenge: While Maryland Republican Gov. Larry Hogan isn’t completely ruling out a potential primary challenge to President Trump, Hogan told reporters Thursday that “it doesn’t make any sense at all,” given Trump’s high approval rating among Republicans. The new headquarters for Trump’s 2020 campaign in Arlington, Va., is a far cry from the makeshift Trump Tower office that served as the nerve center of his 2016 operation. The walls aren’t lined with an eclectic assortment of Trump swag and fan mail. There is no “wall of shame” exhibiting pictures of vanquished rivals. Staffers work at desks and in sleek, glass-doored offices rather than huddled behind plastic folding tables surrounded by unpainted dry wall. In almost every way, the effort to re-elect Trump is a stark contrast to the insurgent, chaotic bid that propelled him to the White House in 2016. Moving out of the bare-bones production offices of “The Apprentice” in Trump Tower and into shiny, modern offices in the Washington suburbs is just the beginning. • Alex Nazaryan: Why did Kamala Harris let Herbalife off the hook? • Matt Bai: Democrats are going big. They’re certainly not bold. • Beto O’Rourke is in South Carolina. • Kamala Harris will hold a rally at one of America’s largest historically black colleges and universities, Texas Southern University in Houston, on Saturday at 11 a.m. CT.
• Harris and Sen. Cory Booker, D-N.J., are participating in a one-hour BET town hall, “American Justice,” which will air on Sunday at 9 p.m. ET. • Sen. Kirsten Gillibrand, D-N.Y., is holding her formal campaign kickoff rally in front of the Trump International Tower in New York City on Sunday at 12 p.m. ET. She was in Iowa earlier this week.